Mad Science camps give kids the opportunity to learn about science through our interactive and hands-on science activities. 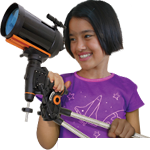 Our holiday science programs let children become junior scientists and embark on a series of science adventures! Expect an experience like no other. We offer up a full spectrum of chemical experimentation that will produce all sorts of wonderful, sticky at times gooey ,but always unexpected, results! Will there be explosions? Will there be fire?? Will there be slime? Can we produce a liquid that glows? Join us this week to find out! 100% child safe. Day 1 - In the Mad Science Lab: Its a whirlwind program on laboratory techniques! Manipulate lab equipment at your personal lab bench, face a power pipetting challenge, show off swirling techniques in an erlenmyer flask, perform specific tasks using measuring cylinders, beakers, stirring rods and more! Test the stickiness of 5 liquids, fish for ice and lab experiments galore! Day 2 - Chemical Counting: Play a game of Bingo to get acquainted with cool chemicals on the periodic table. Create heat without fire, Grow a crystal using common household chemicals, then mix up a solution to make an old coin good as new. Build a molecule model. Make brain goo. Indulge in soap making and more! Day 3 - Radical Reactions: Meet the endo-exo potato to learn all about heat producing/reducing chemical reactions. Be a chemical sleuth in search of starch. Make your own bath salts. Create a rainbow in a beaker. Make fizzy sherbet powder, then become a chemical chef to cook up your own chemical cooler! Day 4 - Crazy Chemworks: Examine plaster properties, delve into density and gain some clarity on cleaning liquids! Make yummy ice cream and an ooey gooey tootsie-roll treat. Perform paper chromatography, make your own baby fire extinguisher, layer a carbon dioxide sandwich, perform a trick with pepper - just some of the crazy chemistry campers can expect today! Day 5 - Kitchen Chemistry: Mash marshmallows, make ketchup dive, create ninja balls and enter them in the Ninja Games! Conjure magic from a soda can, extract DNA from a strawberry, have an apple face-off. Solve the mystery of the disappearing Coke and cook up some lemon suds. Food analyses and taking a close look at digestion finishes off this unusual Kitchen experience! 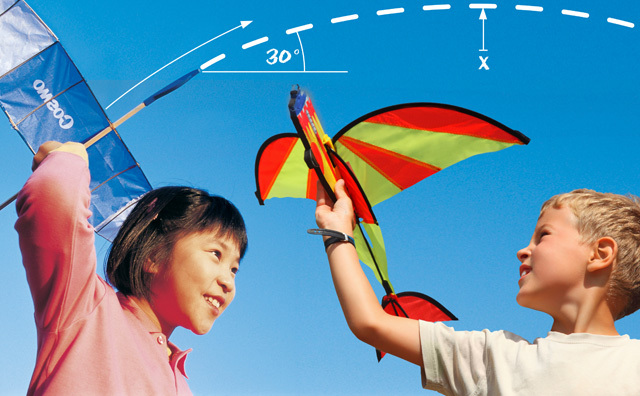 Explore the fundamentals of aerodynamics and learn about how things fly! Control flight direction, build stunt planes, float hovercrafts, launch balloon copters and create your very own PET rocket. Experiment with parachute descent rates and build a rocket retrieval system. Its hands-on fun with all sorts of flying devices, the finale, everyone gets to launch his/her own rocket! Day 1 - The Wright Stuff: Get the low down on air pressure and how it affects flight! The Mad Science Giant vortex generator makes a special guest appearance. Do the toliet paper wave and watch beach balls soar! Build 4 stunt planes: The Falcon, Mad Bat, Wind Rider and Fireball. Test your planes in the Mad Science wind tunnel. Learn how to control flight paths - left right up and down. Make your own glider. Then fly the amazing stuntplane that loops the loop to land back in your hand! Day 2 - Up Up and Away: Non-planes rule the day! Test fly parachutes and compete in the Parachute group challenge. Make a hovercraft for some smooth gliding action! Fly a copter then make your own paper one. Try controlling the flight of the paper copter into a cave, best team wins! Make the egg-stronaut and experiment with all sorts of other exciting flying devices! Day 3 - Moving Motion: Its time for some Inertia insanity as campers explore Motion! Watch the Mad Scientist perform the tablecloth trick, create mahem with karem and move wheels of steel to illustrate Newton's Laws. Campers, get ready to win the Egg drop challenge, don't lose your balance to triumph! Build the Newton Spinner and launch it to see how far it will go. Explore Gravity and Friction: Race the dragster car, build and deploy parachutes and finally make Space Food for snack-tivity, and eat it like you would in space! Day 4 - Rockin' Rockets I: Warm up activity - Launch a simple soda rocket in teams to start off this 2 day Rocket Module. Discover Newton's Laws in action as you build your own simple rocket with 3 fins and launch your own rocket! Then make your own altitude calculator and use it to measure how high you have shot your rocket! Its amazing how time flies when there is so much rocket fun! Day 5 - Rockin' Rockets II: Campers progress to more complex 4 finned rocket designs and flex their creative muscles by inventing their own flight enhancing rocket features. Work on a retrieval system so that these rockets land safely. Finally, celebrate with a pre-launch Mad Science brew and get ready to 3-2-1 blast off those super-duper enhanced rockets! It's Mad Science at work - literally! 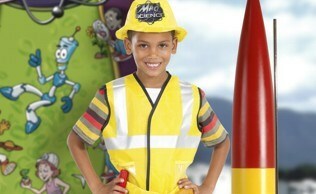 Children discover and experiment with Science that could one day be their dream occupation! Hands on and minds on, kids build their own bird feeder, dig for minerals, erupt a volcano, create a cloud in a bottle and build a geodesic dome among other exciting stuff that just might help your child discover his/her vocation!! Day 1 - Junior Zoologist: Meet the call of the wild and learn all about the Birds and the Beasts. Children simulate the behaviour of animals to understand what they do to survive. Habitats! Adaptations! Camouflage! What would you do as a predator hunting for field mice? Play an intriguing game to find out. Examine special features in animals that help them to survive! Meet Gizzard the Wizard to uncover a surprising fact; then wrap your hand in blubber and dunk it in ice water- that's what it feels like to be a whale in freezing water. The highlights: Build a Bug (and eat it), discover how an insect can walk on water, create a butterfly camouflage, make your own birdfeeder to bring home with you, and more! Day 2 - Junior Geologist: Fall into a state of Mineral Mania! Meet a range of different rocks - igneous sedimentary and metamorphic, learn how to identify and classify them and then pan for precious gems. Build a landform model and make your own sedimentary rock from surprising Mad Science materials! Experiment with weathering and erosion using sugar and sand. Then design and make your own fossil and bring it home. Build a topographic map with peaks and troughs and finally indulge in some red hot volcanic activity! Yes that's right - let's erupt some volcanoes! Day 3 - Junior Climatologist: Illuminate the Reason for Seasons, and see/touch/discover the instruments used to measure Weather. Make your own thermometer to see how it works, and learn how to forecast the weather. Work up a wintry snowstorm, experience a chilly wind, create a cloud in a bottle and make a thunderstorm! Watch the Mad Scientist create Lightning and get to twist your own Tornadoes! Make and Take Mad Science Sun beads that turn colour when exposed to the sun! Day 4 - Junior Naturalist: Enter the fascinating world of plants and nature! Examine how plant stems work using dyes. Embark on a scent trail to identify good and bad scents. Extract natural colour from fruit, leaves and berries. 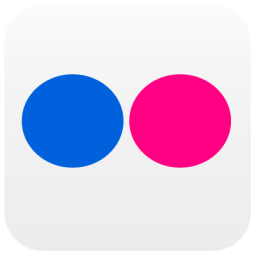 Then, using these colours, create your art masterpiece! During the Jaws and Claws snack-tivity, feed without hands - its a game of creativity and resourcefulness, lets see who triumphs! Finally make animal paw prints and take home this patented Mad Science kit for more self discovery after camp! Day 5 - Junior Engineer: Get acquainted with Geometric shapes in 3D! Which basic structural shape is stronger - a triangle or a square? What is so special about the shape of an egg? Get to know engineering basics through fun activities and mind boggling hands on experimentation. Engage with forces when building a mega structure and discover the different models of bridges! Progress to Domes Arches and special structures. Finally everyone rolls up their sleeves to build a life-size geodesic dome play house from recycled materials! Campers investigate into Science phenomenon with equipment and demonstrations galore. Melt metal, create a mirage, extract chlorophyll, design a Maglev Train, build a solar cooker, launch gushing geysers, create the biggest giant bubble and more! Children will hone their Science reasoning skills for a week full of ah-ha moments! Dry Ice Capades : Explore the 3 States of Matter! Melt metal in boiling water - witness a shift of states from solid to liquid right before your eyes! Freeze water with just a breath of **dry ice! Visualise the volumetric difference between solid and gas. Catch a cloud with your group mates! Dry Ice - the star of the camp - is used in a series of tests to explore the States of Matter at extreme temperatures. Optical Illusions: Learn all about how light behaves through this topsy-turvy world of optical illusions. See and learn all about the physics behind light, sight and how the brain works - a twisting coil climbs up and down without moving, and a towel turns into a dog! Try and catch the dinosaur, but then discover that what you see is a mirage! Experiment with convex and concave mirrors and explore the weird world of inversed vision. Electricity! 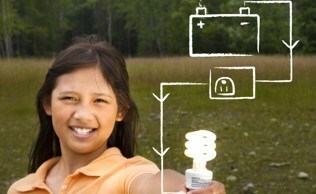 : Have fun with the fundamentals of Electricity! Use the Plasma Ball to identify conductors and non-conductors. Use the human body to light up a bulb! Assemble Black Box components to light up bulbs and sound buzzers. Witness circuit board wizardry to see the impact of series and parallel circuit configurations. Then win points for your team with the quickest Buzzer wins contest! Excellent Energy: Watch a sparking demonstration by the Mad Scientist on The Law of Conservation of Energy. Identify different types of Energy, then have some ‘hands-on’ fun at 5 energy conversion stations. Play with toys to investigate energy transfer. Do the 'Bungee Jump', and learn how a turbine and generator produces electricity. Examine renewable and non-renewable energy sources and build a solar cooker/OR build a team mega energy conversion structure! Black and Blue Oceans: Explore sea ecosystems to discover fascinating adaptations. Discover rich and diverse ocean life in the different layers of the sea. How do sea creatures survive, reproduce and thrive? Play the food chain game, then progress to more sophisticated food webs. How will killing off one species impact on your food web? It's the fishing game next - get ready to fish for your team and discover how your actions can impact on the future survival of your tribe. Photosynthesis: Hunker down and decipher the process of Photosynthesis! 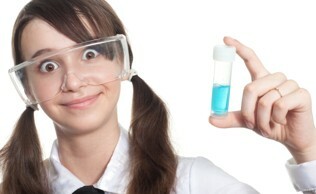 Perform all sorts of exciting experiments to learn the chemical processes that happen in a plant during photosynthesis. Test for starch, see air bubbles form in stomata. Then extract chlorophyll from a leaf to perform cool chromatography. Experiment with prisms and find out just how important light is in the process of photosynthesis. This is Photosynthesis de-coded! Harnessing Heat: Build a Thermometer, watch an underwater volcano, indulge in sand play, solve the black blocks mystery, perform the touch test and more! Relativity of heat, friction, heat transfer, conductivity and convection will all come to light when we harness heat in this camp! Magnetic Magic: Why do magnets behave the way they do? Create magnets, explore attraction/repulsion, see magnetic fields. Build compasses and go on a treasure hunt. Experiment with Electromagnets. Witness gravity-defying stunts then, build a MagLev vehicle that can levitate and move on the Mad Science Maglev track. Ready for more? Design and test a maglev vehicle that can move without you touching it! The Scientific Method: Get acquainted with the methodology used by Scientists to formulate questions, make predications, develop and perform experiments, collect and analyse data and draw conclusions. Sound dry?? Never fear at Mad Science, this process is simply a series of steps that we apply to 3 super fun projects! Project 1: Set off Gushing Geysers up to 2 stories high, and record the different heights obtained by changing just 1 variable. Project 2: Modify a race car to see how far a distance it will travel. Project 3: The Giant Bubble experiment - shhhh its so much fun we just have to keep it secret....find out when you join us for some holiday fun with Mad Science Investigators! Children have so much fun that they forget they are learning! Call Mad Science Singapore @ 88774048 or email madsciencesg@gmail.com now for more information!